In this fast-paced world of technology, we count on electronics to keep the flow. But long ago, young men rode fast horses day and night across the vast land to deliver mail. From Missouri to California, the Pony Express risked danger and exhaustion to get your letters to you, and for a mere $50 a month. 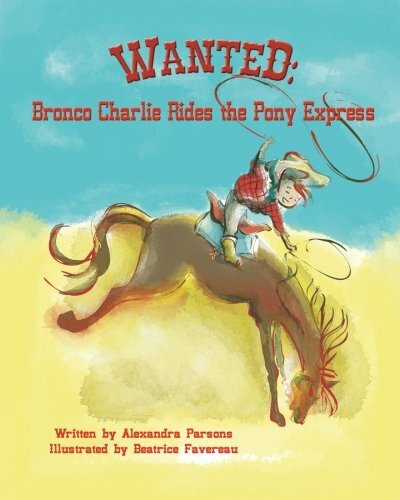 Bronco Charlie was only 11 years old, the youngest rider in the Pony Express to brave the journey through every kind of weather, and even with howls of mountain lions and wolves. A great adventure! This delightful family endeavor will lead you with chuckles and laughter through its playful text and illustrations. Though it deals with a true and serious lesson, it will be impossible to get through it with a straight face, and will surely be remembered and quoted with very little coaxing. Truly a great way to build foundations. This is a bright and lively educational series. Today, Camellia N. takes us under the amazing sea to learn of all its treasures and inspire us to respect the wonders of our world. Illustrations by Daniela Frongia are a perfect accent to the heart of the stories. The quality, production, and expression of anything beautiful and appealing is considered art. Whether it’s a watery flow of color upon a porous page, or the delicate silky petal of a flower that dances in a breeze, we all perceive art by the magical wheel that turns the focus of our eyes. Creativity flourishes in every person who takes a moment to capture a vision that quickly fluttered by. This is a perfect example that some become masterful at catching it, and bringing life to it for all to see. Who doesn’t love a party? This is an adorable series about kindness and friendship. Each new adventure finds sisters Tina and Trudy tested and found true. The illustrations are fun and engaging. The stories are short for easy reading, and each one points to the benefits of letting kindness lead our lives. Other great titles in the series include Field Trip to Mars, Lost on Earth, and Scout Trip to Saturn. History is a record of events that led us to where we are today. Not all accounts are favorable, because it’s a record of imperfect beings. Through men, women, and even children of vision and fortitude, we became a mighty nation. It’s not about sides and organizations, it’s about people reaching beyond the now and forging a new tomorrow, together. In May of 1963, Birmingham, Alabama made just such a move. Children and teens marched for their civil rights, and brought us into a greater today. These amazing people and their courage are recorded for all time to remind us what we can accomplish when we believe in a better tomorrow. Have you ever wanted to be a teacher? Or maybe a dancer? How about an engineer? I Can Be shows all different jobs for little ones to explore. This is an adorable book that offers great value in helping our children find their potential. It’s a top 10 in interest and purpose, and a constructive tool for building healthy self-esteem. The meaning of being special is to be distinguished, or different from what is common or ordinary. To be extraordinary! Sam was different from the other pets in his neighborhood because he didn’t have a tail. That difference made him feel he was lacking what everyone else had, and that made him sad. But, one day they discovered it wasn’t that he was lacking at all. He was a rare kind of cat, unlike any other, and that didn’t make him just different, it made him special! This story shows that we all have basic structures that identify us in common ways, but these common traits should never define who we are. When Enzo the dragon has a cold, it’s no mere sniffle. No indeed! His coughs and sneezes set fields aflame and barns on fire. The villagers are fleeing their farms and the townsfolk are up in arms. What’s a poor fire-sneezing dragon to do? It’s a great book that’s fun and entertaining, and at the same time leaves us with lifelong lessons. The lighthearted rhyming text romps carefree through the eye-catching illustrations, making it truly a fun read! This story brings us face to face with that dreaded word: karma. We may hear someone say, “What goes around comes around,” and that is exactly what happened to Mela. When her younger brother wanted to accompany her on her adventure, she asked what it would gain her. Mela forgot the joy a simple kindness could bring to another. She was quickly reminded when she finds herself lost and in need of that kindness to get home. This is a great way to teach our children that true kindness needs no reward. In this charming story, Little Tiger tiptoes through the forest determined to find others who will see him as sleek, silent, and totally terrifying. But no one is afraid of Little Tiger. He’s just too small and clumsy to frighten anyone. With Leathers’ fun text and beautiful illustrations, readers will enjoy tiptoeing along with Little Tiger on his journey and surprise ending. From the creator of Max and Ruby comes another wonderful book to add to the shelf. Learning that everyone makes mistakes and to take it in stride is a central theme to the book. However, the story also shines a light on making choices and taking responsibility with the help of friends, even if that responsibility is only for “forty-nine and a half seconds” according to Fiona. The need to feel loved and be acknowledged is universal, and through Waring’s story of Porcupine with adorable illustrations, the reader can see that there are many different ways to show love and affection. Although Porcupine cannot give hugs, he is able to give small kisses and always asks before giving a kiss to a friend. This is a great way to not only show that kindness and love is necessary in the world, but it can also serve as a conversation starter with children about boundaries and personal space. 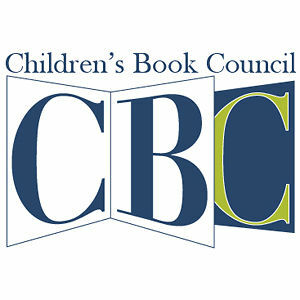 Board books are becoming more innovative and special as authors dream and execute clever ways to keep readers’ hands moving and minds thinking. All Aboard: Let’s Ride a Train does exactly this as it embraces train passenger companionship and the beautiful views whizzing by the windows. As readers flip each page, they can open the top flap to reveal the fun happenings and details inside each passenger car. Having read this book several times to my three little ones, we kept noticing funny details and also enjoyed searching for things that the text mentions. A wonderful, interactive read that will delight train lovers of all ages! A sweet spin on the beloved classic. Readers will develop a love for this story, regardless if they are familiar with the precocious alien from the ’80s. While the premise may sound a bit sinister or strange, the dialogue and illustrations are very child-friendly, appealing, and innocuous. This is a story about friendship and will inspire conversations about those who may look or act different than what we may be accustomed to. E.T. The Extra Terrestrial is a must-read for all ages! 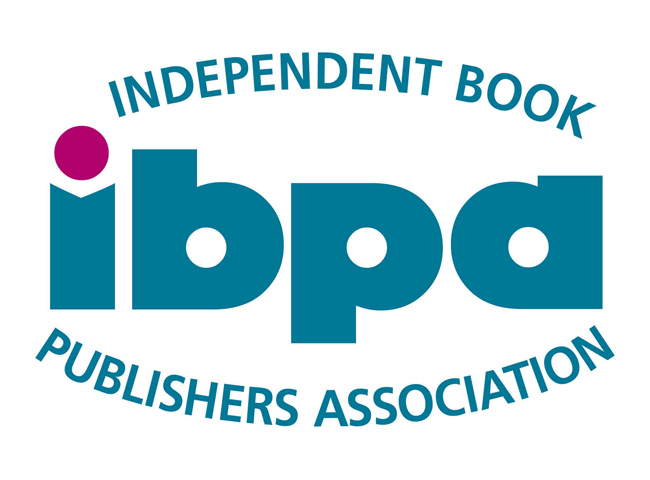 This is a book that will be long-remembered once the pages are closed. Children will want to reminisce about this story over and over again as they imagine all the adventures rocks can take. Petra is a rock … or is she? She is also a mountain, an egg, and an island depending on her ever-changing locations! 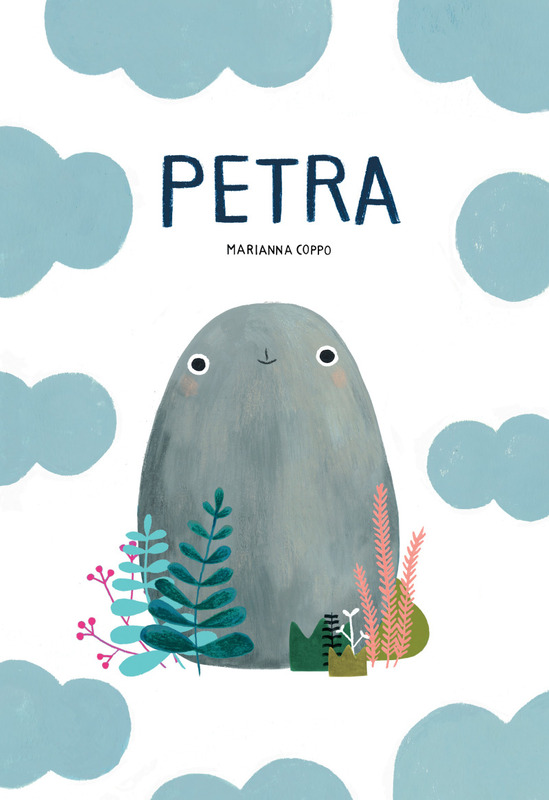 The white backdrop allows author/illustrator Marianna Coppo to showcase Petra’s shifting identities and this lends itself nicely to a mentor text: What can children imagine their rock to be? And what kinds of adventures will they take? Books transport us to so many places, and Petra is one of the best tour guides we could have. This is a great story with themes of greed and generosity. Hedgehog becomes a “hedge hog” and doesn’t want to share his home with any other animals during winter, but he comes to find the importance of generosity and hospitality. The play on words with the hedgehog hogging the hedge adds a fun dimension. The speech bubbles for the characters make for a great read-aloud, and the lessons the characters learn set the stage for a discussion with young children about how to treat one another. This book captures the essence of how everyone has different personalities and interests. But we can still get along with people different from us. We find that we are not complete without each other. There are a couple pages that do not have any text, so children can take a moment to become the author at this point. This book lends itself nicely to discussing being considerate of other people. Blip finds herself unplugged and outdoors during a blackout! For screen families like ours, Unplugged is a wonderful reminder to build more outdoor time into our busy schedules. Author/illustrator Steve Antony uses a fantastic combination of illustration materials to express the world of computers vs. the world outside. The fun animal friends are an adorable touch. We could all use a bit more “Blip-ology” in our life! 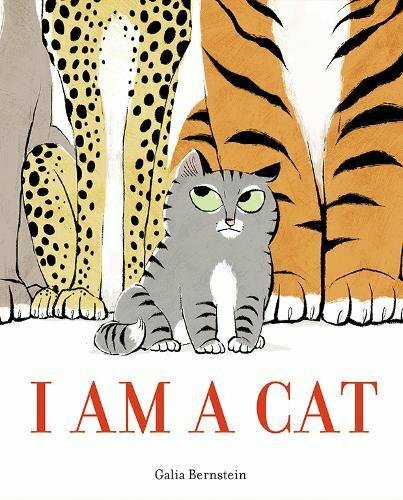 A story about a small house cat comparing itself to various jungle cats. While some are stronger, brighter, bigger, and faster than the house cat, they do all share many feline qualities. The story not only does a great job of highlighting differences, it brings it all back around to recognize similarities. For the intended age group, it provides a double-dose of awesome. The text is perfect for beginning readers, while the concepts are so important for an early grade-school audience already preoccupied with where they fit in compared to their peers. A fun read, important concept, and beautifully illustrated book. This one merits two paws up! Jacky Ha-Ha: My Life is a Joke is a humorous book with fun characters and great black and white illustrations. Jacky’s summer plan to only act and sing in summer stock theatre completely changes when her parents insist that she get a job, as well as help babysit her little sister and do chores around the house. Will Jacky be able to hold her job as a carnival game worker, and babysit, and do chores, and perform in Midsummer Night’s Dream and still have fun? Read the book to find out! What I liked most about this book is how strong and smart Ernestine is. We need more role models like Ernestine in today’s society. 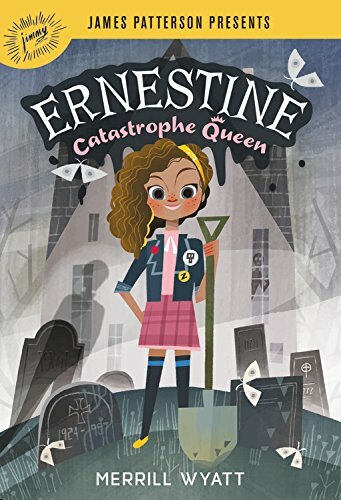 Ernestine is a kid who is willing to help and lend a hand and make discoveries. She helps solve the mystery at the MacGillicuddie House for Elderly and Retired Artists. This is the place where her parents work. I really like the theme, “Cleopatra Queen of Nile” birthday party they throw for Ernestine at the end of the book. It’s fun and she deserves it! 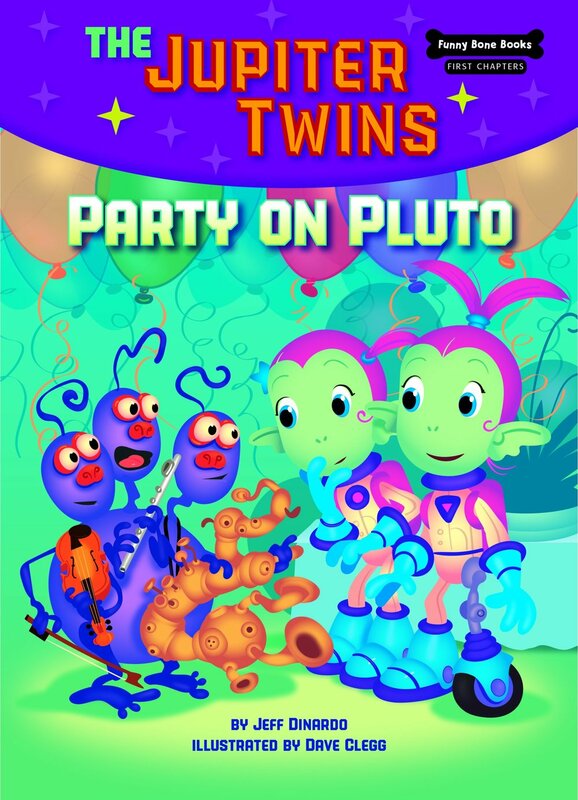 Eleven-year-old best friends, Lloyd and Josh, create a blog inviting aliens from outer space to come for a visit. And they get a response! They meet the aliens and everything goes perfect at first even though the body parts of the aliens are in much different places than you’d expect. And their names are even stranger. It doesn’t take long for Lloyd and Josh to grow weary of their weird new friends and wonder when they’re going to leave, but when the two aliens decide to stay and invite 70 billion other alien friends to join them, the boys realize they’ve caused a huge problem for planet earth. This book was just pure fun to read. Nikki Maxwell is a pretty normal kid. She has a crush on a boy and a dog that seems untrainable. Readers can go along with her on her daily adventures, struggles, successes and most embarrassing moments in this series of books written in diary format just as if it is happening one day at a time. Preteens and teens will relate to the characters and events. 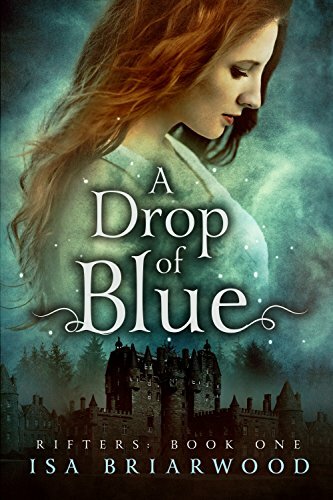 Boys get jealous, girls feel insecure, and worst of all, a way-too-beautiful exchange student shows up out of thin air to make Nikki’s life almost unbearable. Kids will relate to the daily ups and downs of typical school life. Lots of fun for kids to read. Elizabeth Murmur moves into her new home at Witheringe House, a creepy old mansion where her father grew up. Zenobia comes, too, as she has been Elizabeth’s constant companion since Elizabeth’s mother abandoned the family. Her dad is depressed and doesn’t talk much. Soon they realize there is something most strange about this house and learn there is an old family secret. There is a lot of mystery, danger, and adventure in this other-world fantasy. A wonderfully compelling middle-grade story about friendship, courage, and the power of the imagination. Sixth-grader Kia Krumpet feels so unspecial; she is number 718 at school. In schools all across the country, hopeful students will compete in the Piedmont Challenge. In this futuristic story, winners will be able to choose their futures; the rest will be assigned jobs for the rest of their lives. Kia knows the odds are against her but all she can think of is winning the trophy. Then, something unbelievable happens: she is chosen. An adventure right from the start, the action never slows down. Young readers who also feel unspecial will be inspired to find their true talents and all the other things that make them shine. This is a most encouraging and uplifting story and is sure to give new confidence to any child. Sixteen-year-old Cate McAuliffe and her boyfriend experience an earthquake. They part in different directions to their own homes but on her way home, a window made of pure light appears in the air. She approaches for a closer look and gets sucked in—not just to another world, but another time. This adventurous tale of danger and mystery also has a good dose of futuristic science, technology, and terminology that any young techie will find thrilling. The perfect book to get your nonreader to become an avid one. If you happen to be among those who admire the majestic look of the wolf, you will surely enjoy this peek into their pack life. Wolves communicate using their entire body, expressions of the eyes and mouth, the set of their ears and tail, all to relay their intent and purpose. The storyline follows a particular pack and gives us insight into the joys and hardships of the wolf family life. Brodie was a good dog. And good dogs go to heaven. Except Brodie can’t move on. Not just yet. As wonderful as his glimpse of the afterlife is, he can’t forget the boy he left behind. The boy he loved, and who loved him in return. The boy who’s still in danger. So Brodie breaks the rules. He returns to Earth as a spirit. With the help of two other lost souls—a lovable pitbull Tuck and surly housecat Patsy—he is determined to find his boy and to save him. This is an endearing and sweet story about the love between a boy and his dog and gives proof to why we say a dog is man’s best friend. Following the alphabet, this book uses poetry and expository text to celebrate America’s diverse population and the contributions of those who call it home. A beautifully illustrated and delightfully educational walk down memory lane, reminding us of the true pride of America. Of a time when freedom beckoned and refuge healed. A time of hardship, but a stronger time of hope, faith, and unity that merged, grew, and became a great nation. A nation of inclusion.